Fans of performance Mitsubishi models who fear the manufacturer's days of excitement are dead and buried have reason to be cheerful, believes Mitsubishi UK managing director, Lance Bradley. Even though the brand's hallowed 'Evo' bonnet badge may be currently resting – and unlikely ever to return in its former guise – Bradley said there were still some exciting models planned for those Mitsubishi fans with petrol coursing through their veins. "I can give you hope," he told AOL Cars when asked about future performance model plans at the recent Paris motor show. "It's a question I ask whenever I go to Japan. There's no reason hybrid SUV technology can't mean exciting cars to drive. "On the stand outside there's a cross-Asia rally Outlander. There's no reason plug-in hybrid and excitement can't work together. Another Evo in its current format is unlikely, though. However, I can possibly see performance versions of our SUVs. It's early days though and the priority now is establishing PHEV in the market and people's minds. "Once we have done that it's a relatively short step to producing a performance version of the car. As to whether it would have an Evo badge on it, well, I don't know. It would have to be an Evo to wear that badge, but there's no reason why it can't." 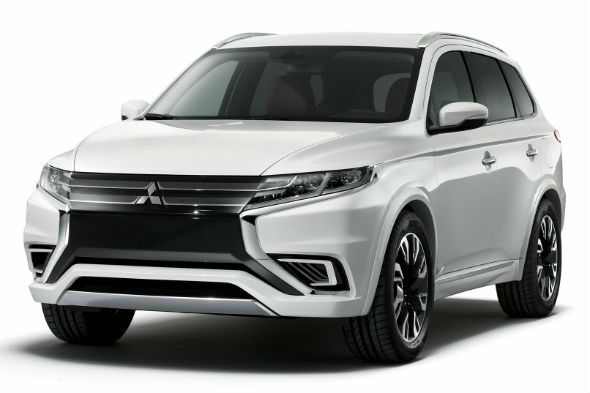 Currently, Bradley and the Mitsubishi UK dealer network are very much focused on the recently introduced Outlander PHEV plug-in hybrid, which he has lauded as the "most successful launch ever" for the manufacturer. Bradley continued: "For the last 10 years L200 was our biggest-selling product by a factor of nearly double the next closest model, but it will be outsold by a factor of two by Outlander. In one year! "To come straight in and probably do around 10,000 PHEVs and 3,000 diesels is extraordinary. The only way we could do that was to get everything right and we planned very carefully for 12 solid months for this car as we knew how good it was." The Outlander PHEV has been a remarkable success for the firm since its introduction in June and the sales rate is rising every month.